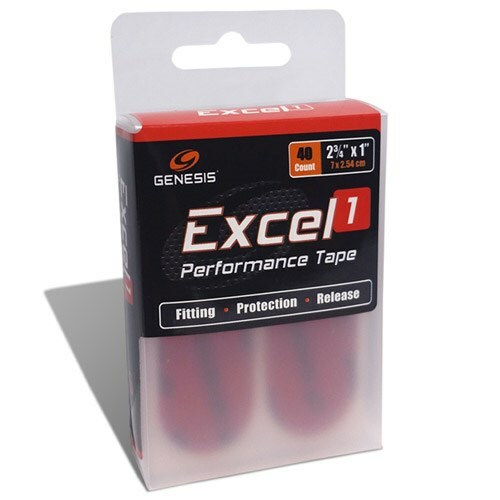 Genesis' thinnest performance tape also happens to be the quickest releasing tape in the ExcelTM line. It features a quality synthetic material that has a fine knit weave for a smooth, almost silky, feel. Plus, the extra thin profile gives it the most stretch in either direction. If you like a quicker than normal release, you'll have no hang ups here. Nice quick release. stays in place and easy to remove. will buy again. Due to the time it takes to produce the Genesis Excel 1 Performance Tape Red ball it will ship in immediately. We cannot ship this ball outside the United States.